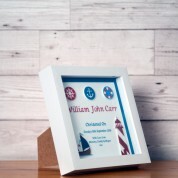 "I am the caption of this boat"
This amazing, Nautical Christening box frame for a baby boy will arrive fully personalised with the details of there christening day. The 3D nautical characters are all 'In House' designed, UV printed and laser cut on to shiny white perspex as well as the print itself. This design process gives a high quality finish and makes the colours stand out incredibly in the box frame. 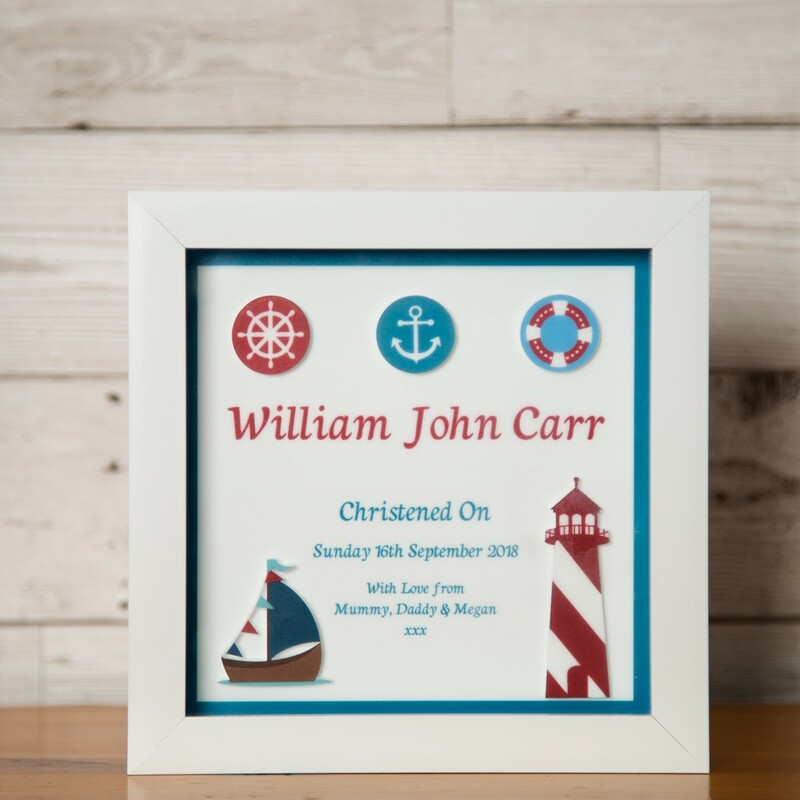 The cute little nautical themed icons are superbly finished with unbelievable finesse of laser cutting providing interesting detail. The nautical design features a dark red lighthouse followed by an adorable sail boat with colourful red and blue flags. 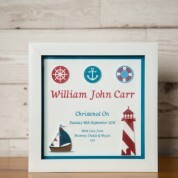 To add more to the design we have designed three nautical theme icons at the top of the print. A unique gift idea for anyone celebrating there christening day. The crisp white box frame has the capability to either mounted or stand alone. 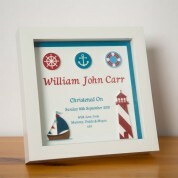 We will not only print the little boys full name but also the date of his christening and a short personal message. 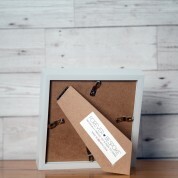 To complete your experience, your frame will also be packaged in an white branded presentation box. Dimensions: External measurements of 17.5cm x 17.5cm x 3.5cm deep. Weight (unboxed) approx 520 grams.